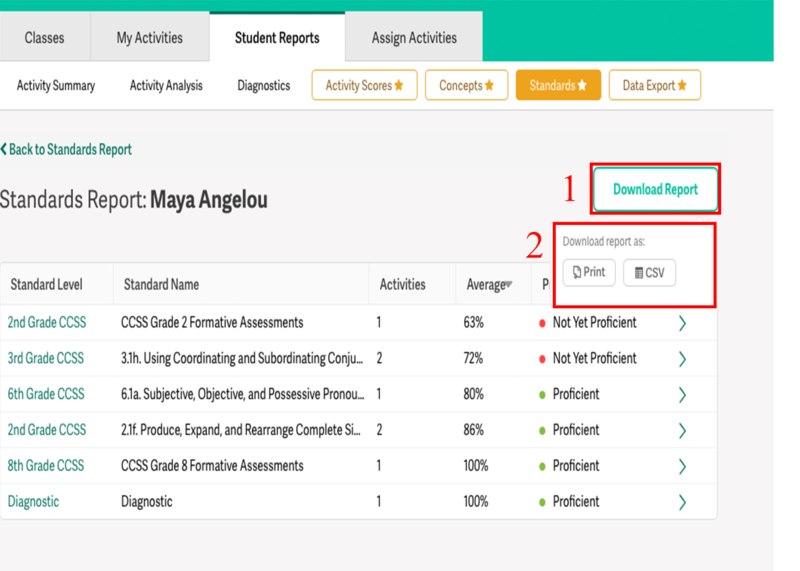 How can I view Standards Premium reports? 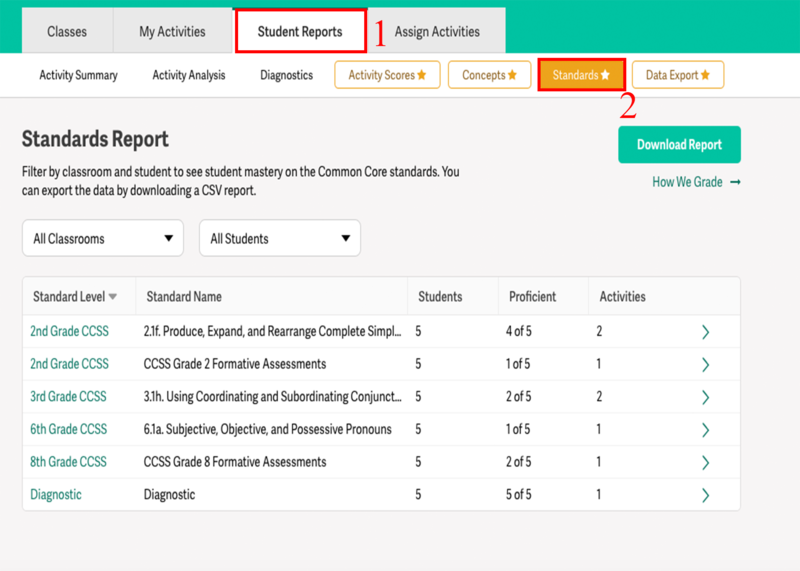 See how your students are performing in the Common Core Standards. You will then see a report organized by standard. The report includes the number of students proficient in each standard and the number of assigned activities for that standard. 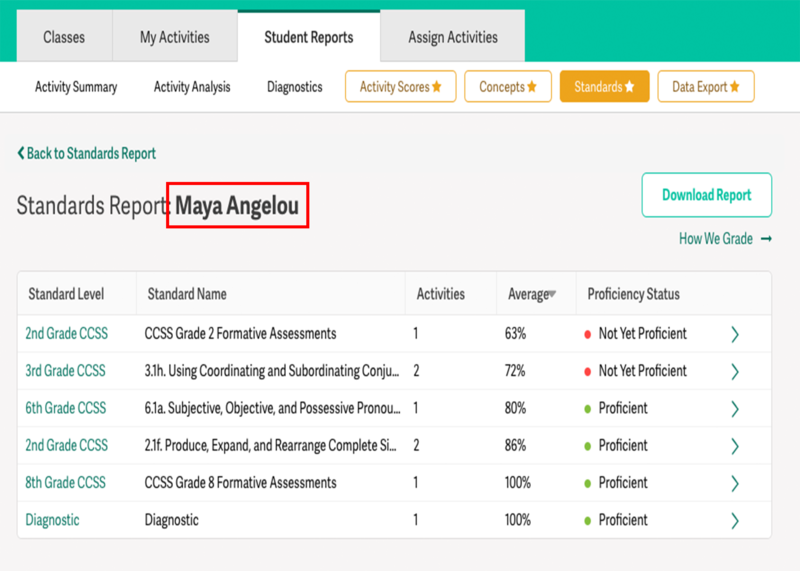 Filter by student or by classroom to receive an individualized report. The student report includes the student's proficiency status and average. The Standards report, like all Premium Reports, can be downloaded as either a CSV file or printable page.